What’s Wrong With Dating the “Fat Girl”? Telling a fat girl that she’s “not fat” may be more offensive than not saying anything at all. 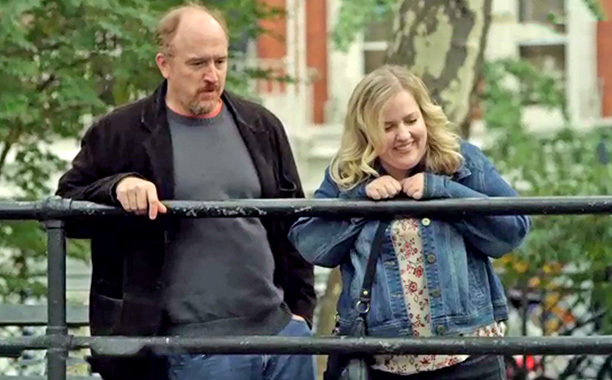 Louis C.K.’s sitcom Louie is known for its surreal humor and on the latest episode, it is clear when he addresses the huge stigma that is placed on being “fat”. Louis meets Vanessa, a smart, funny and pretty waitress. Vanessa asks him out after an encounter at the Comedy Cellar but he says no. Why? Because Vanessa is a lot heavier than most of the women he has dated and he feels slightly awkward. Despite multiple attempts at asking Louis out, he agrees to go to coffee after she gives him free Ranger playoff tickets. The date turns into a stroll around the city, getting to know each other. After Vanessa half-jokingly says, “Try dating in New York in your late 30’s as a fat girl”, his immediate reaction is to then tell her that she’s not fat. Louis’ reaction to her is realistically, what most men would say in that situation, but what he thought would be more of a “comforting” statement turned out to be more offensive than he had anticipated. Vanessa’s okay with being fat and accepts who she is, although she hates how society reinforces the negativity associated with dating someone who is. She’s comfortable in her own skin so why can’t society just accept that? Louis has been intimate with heavier women before, but he has never dated one. Perhaps men aren’t afraid of being with a fat girl but instead, they’re afraid of the judgment they’ll receive from others.